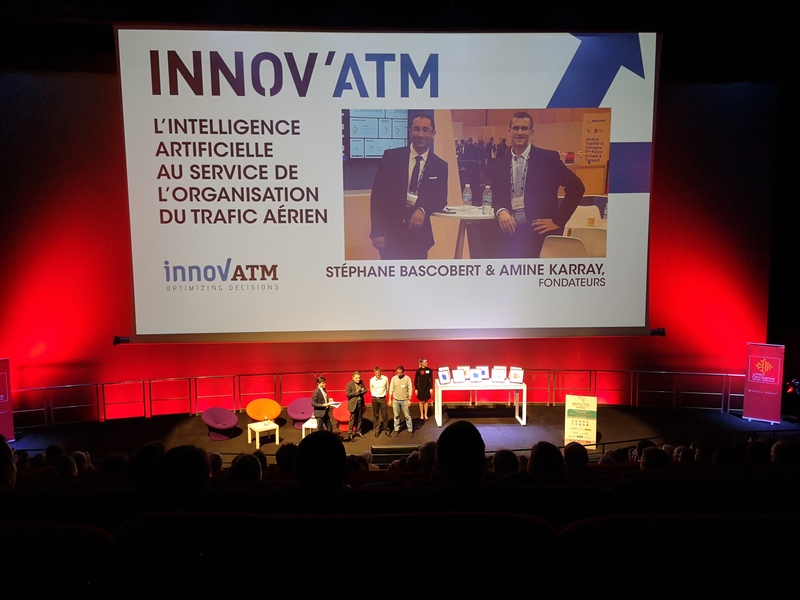 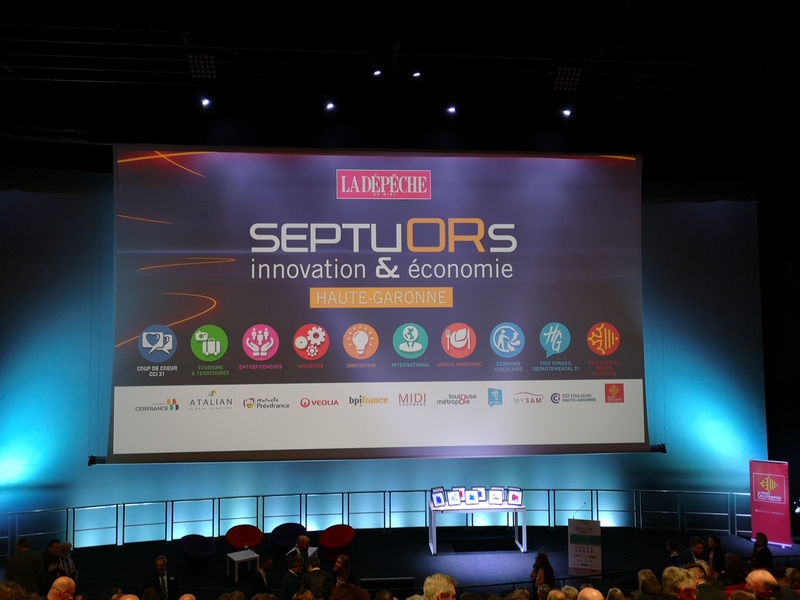 Innov’ATM was invited to attend the SEPTUORS event on Thursday 11th April, nominated in the innovation category. 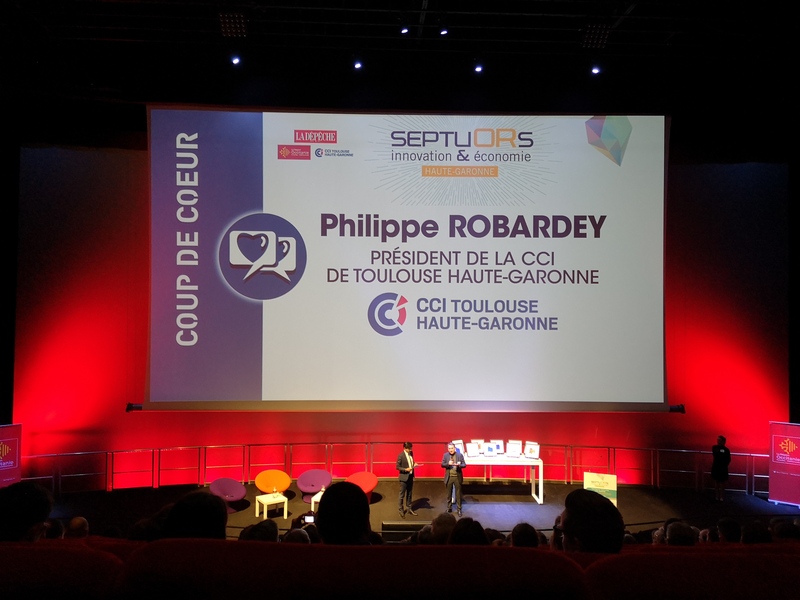 We thoroughly enjoyed the evening and the opportunity to meet other companies that contribute to developing the regional economy. 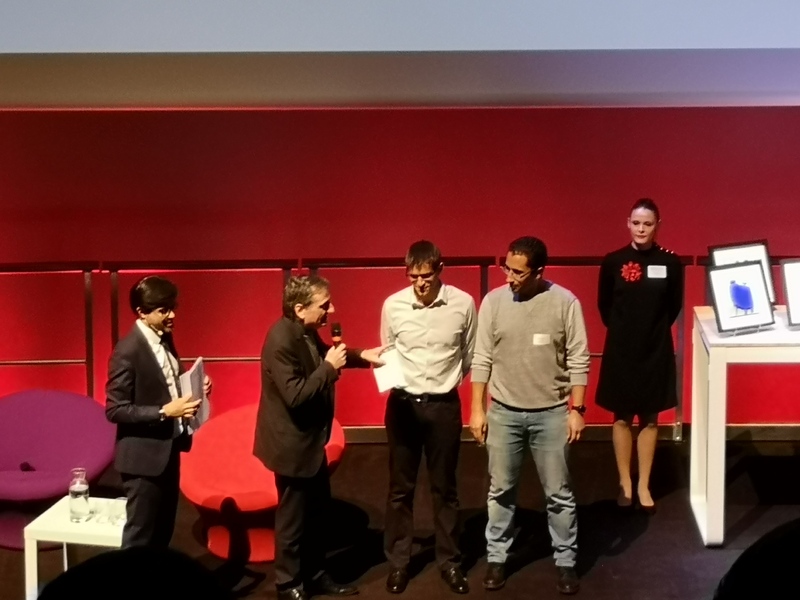 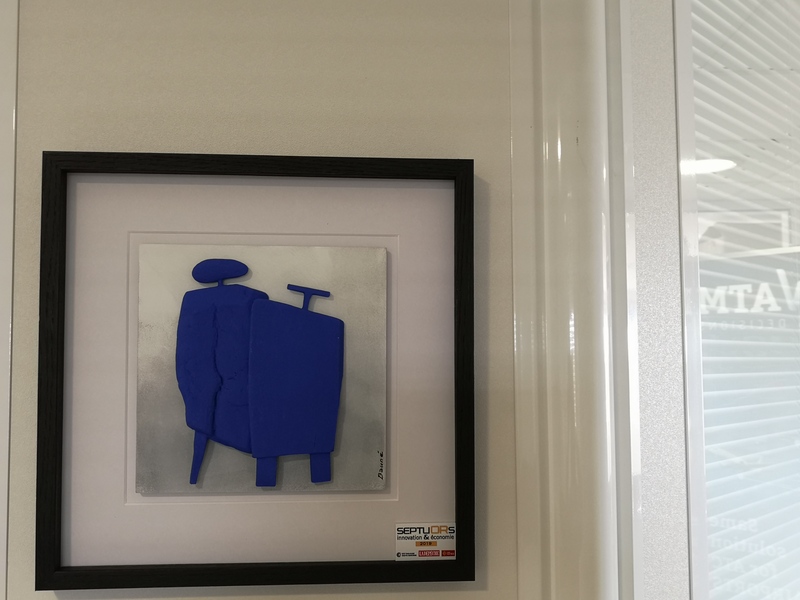 We were proud to take home the Special Prize “Coup de Cœur” (Soft Spot) and a fantastic piece of art by Jean-Louis Bauné, as well as the encouragements of Philippe Robardey, President of the Chamber of Commerce and Industry of Toulouse Haute-Garonne.